central Midlands and the far North. to escape and is on the increase. 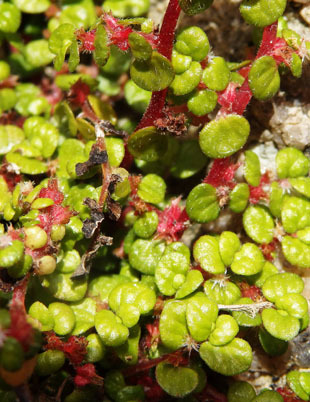 forming, perennial herb, growing up to 20cm. 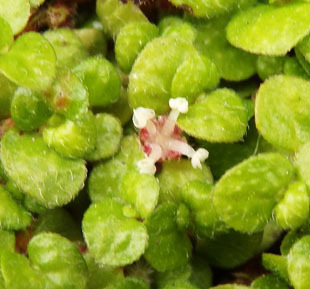 Male and female flowers are separate and are very small. 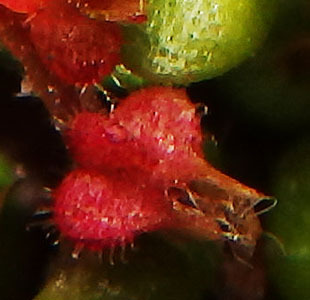 which bursts open to show 4 white stamens. 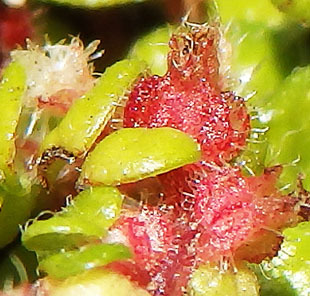 Female flowers are enclosed in a red, tubular, 4-lobed perianth. 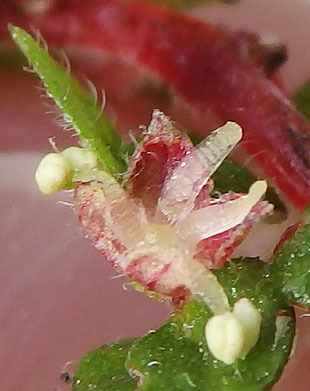 There is a simple style and staminodes (infertile stamens). 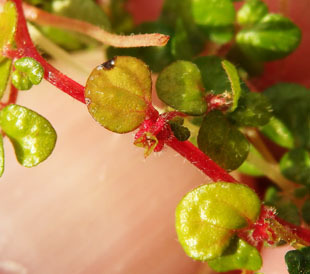 The flowers are similar to those in the related Stinging Nettle. 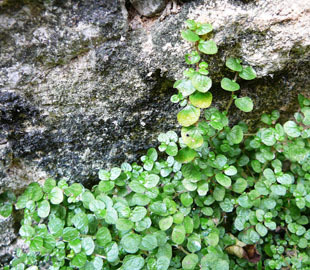 Leaves are dark green and up to 6mm. 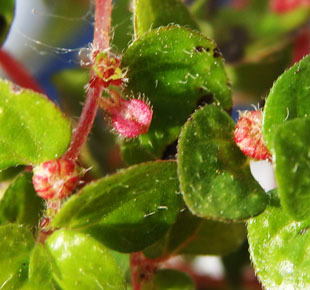 The stems are thread-like, red and root at the nodes.